On sale! 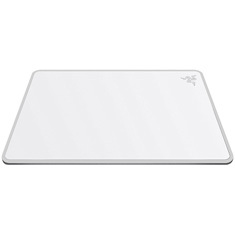 (normally $99) The Razer Invicta features an all-new, lab-tested coating with a specially chosen finish on both sides to enhance the surface’s reflective quality. You’ll be prepared for every in-game situation since the Razer Invicta offers two sides designed for two completely different play styles. The slick-smooth SPEED surface lets your mouse glide freely and quickly to take out opponents before they even have a chance to react. The rough-textured CONTROL surface offers the optimum level of resistance leaving measured mouse movements and a tactile feel in your hand.